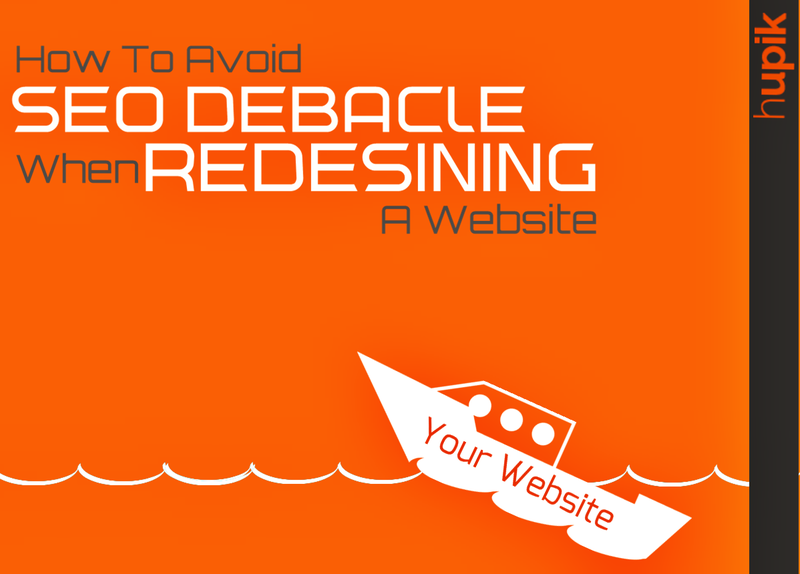 You’ve decided it’s time to redesign your website and step into the current century. Congratulations! You may have found an amazing designer or may be providing your in-house team with a challenge. It’s already going to take precious time, effort and money, and you want the switch to go as seamlessly as possible. So what would it really hurt if you don’t add search engine optimization, or SEO, tactics right away? But what you might save in time or even money by skipping SEO services in the present could have serious cost down the line. You’ve probably heard the phrase “An ounce of prevention is worth a pound of the cure.” It’s as true with SEO and inbound marketing as it is with anything else. If you don’t plan to revamp or add search engine optimization services with your site’s redesign now, you’ll wind up spending more time — and money — to go back and add keywords, rename pages, fix and fix URL structures in the future. On top of all that, you’ll have to prevent any changed URLs from becoming broken links on your site and from sites that link to yours. If part of your SEO strategy is getting quality backlinks, don’t you want those links to point to URLS that use sound techniques for SEO? Hiring someone to perform a site audit after your site has been redesigned or even foregoing SEO services altogether could be disastrous. Without search engine optimization, your brand-new design might go unnoticed by potential partners and clients who can’t even find your site online. The new digital face of your business won’t pay for itself if you can’t even get your foot in the door! It’s like building a house and then hiring a professional to create blueprints. Without a sound plan for your house, you’re likely to run into a few problems. Pages without any links are like rooms that have no doors. No one can access them! And you wouldn’t want your halls filled with doors that open to blank walls or stairways that go nowhere. Imagine that you thought you had all your bases covered, only to realize upon the completion of your website that you didn’t, not really. Skipping SEO services during a site redesign is a lot like that. Whether you hire someone to add SEO after the fact or you try to do it yourself, you’ll have to make changes, many of which will be invasive and can impede your visitor’s experience. And here you thought you were saving time and effort all along! Even if you website is navigable and attractive, it might be making costly errors when it comes to your search engine optimization efforts. Perhaps it uses Flash or another technology that isn’t easily understood by search engines. Your website might load so slowly that it drops in search rank or visitors leave before they’re even able to contact you. And while your site might look awesome on a desktop PC, it might not work at all for mobile users. All of these factors impede SEO, but they make for an unsatisfactory experience for your visitors! This is why we recommend that you contact us for a consultation and site audit before you being your redesign. Even if you’re having someone else design your website, our SEO professionals can provide valuable insight that ensures your website offers the highest return on your investment. Not only will it look good, but it will function and searches and social media users will be able to find your website without frustration. This translates to less frustration for your company. If you’ve ever paid for a smashing website only to watch it receive fewer than a handful of hits, you’re probably familiar with the feeling of panic that can set in. You’ll wonder whether you wasted money, what you did wrong and maybe even if this means the end for your company. Your website structure is friendly to both search engines and people. You don’t lose any hard-earned rank for your pages or domain. Your site and URL structure is sensible and future-proof. Working closely with our SEO team also paints a picture of the content and marketing strategy you’ll need to employ in the future to keep your website in the top spot! As you launch your website, tweaks might be required to get the most out of your SEO strategy and new design, and our SEO processionals can help with that. In fact, some of our clients keep us on retainer solely for that purpose. Through tracking and analytics, we can determine how well the SEO methods are working for you with real numbers. You won’t have to guess whether you’re getting the highest ROI, and you’ll be able to track your site’s performance well after the redesign and SEO have been implemented. The same services can be applied to site migration. Together, we can create a blueprint for your site that ensures success, minimal interruption and maximum satisfaction — both for you and your visitors. Contact us today to discuss how our expert SEO team can help your company with a website redesign and avoid a potential disaster!